A true story that examines the national issue of immigration and the human cost of deportation; Nov. 15. The University of Nebraska at Omaha (UNO), in partnership with the College of Saint Mary (CSM), will show an advanced screening of David Sutherland’s documentary Marcos Doesn’t Live Here Anymore, a true story that examines the national issue of immigration and the human cost of deportation. The film will be shown on Thursday, Nov. 15 at 7 P.M. CPACS, room 101. Admission is free and open to the public. Filmmaker David Sutherland will be present at the advanced screening. Sutherland produced the Frontline documentary called The Farmer’s Wife, which followed a family in central Nebraska through the farm crisis in 1980’s. Marcos Doesn’t Live Here Anymore is being produced by Frontline, Latino Public Broadcasting’s Voces, and Independent Lens and will air in spring of 2019. The film follows Elizabeth Perez, a decorated United States Marine veteran and national immigration activist living in Cleveland, as she tirelessly works to reunite her family after her husband, Marcos, an undocumented soccer referee from Mexico, is deported. Meanwhile, Marcos is in Mexico coping with his loneliness, grappling with the urge to cross the border illegally to see his family, and fighting the temptation to give up and move on without his wife and children. 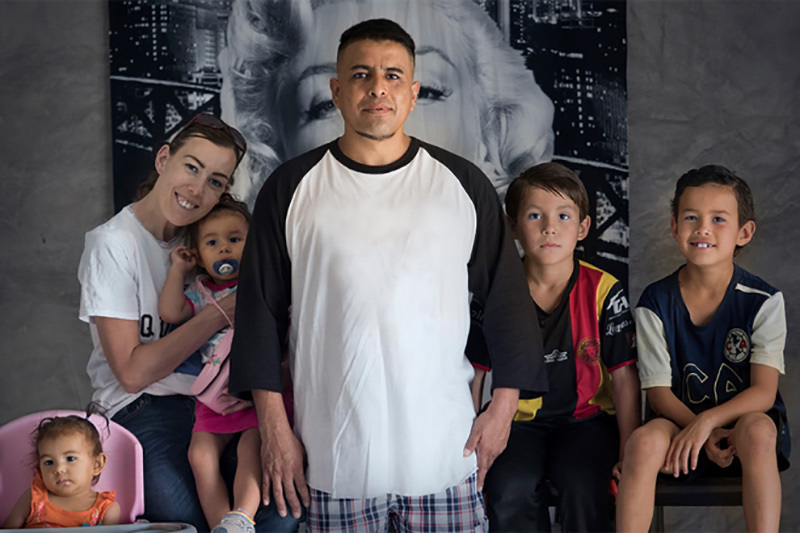 After encountering several legal barriers to her husband’s reentry into the United States, Elizabeth is forced to consider a heart-wrenching alternative: moving to Mexico to reunite with Marcos and keep their family together. Sutherland weaves a parallel-action love story that takes the viewer inside a world often lived in the shadows, on both sides of the border, while shedding light on the current issue of immigration and deportation. For more information, contact Dr. Kristin Mattson, professor of political science and director of CSM’s service learning program at kmattson@csm.edu or 402-399-2656.